What a fabulous year it has been… We traveled more in 2015 than ever before and have rocked the faces of many a city AND continent. We also recorded what we think is our best album yet — Are You Listening? will be released in February of 2016. 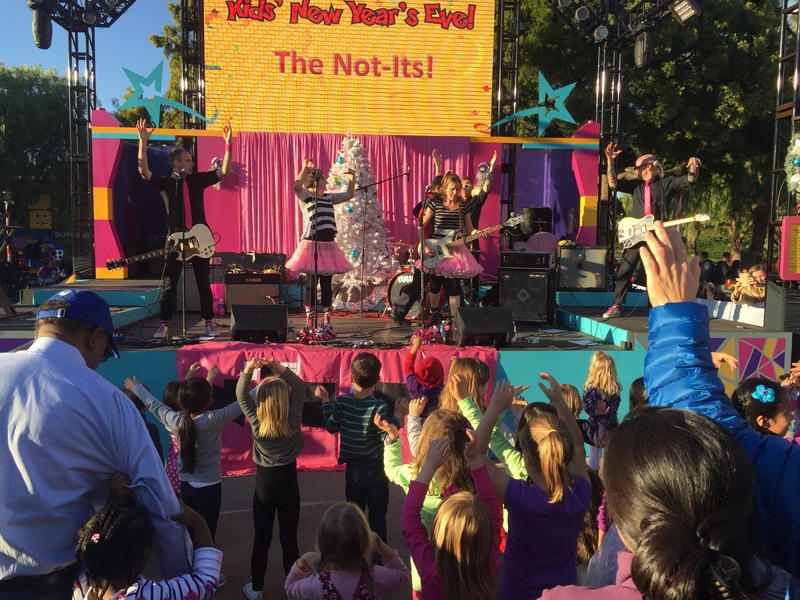 We are so excited to be finishing up 2015 at Legoland ringing in the New Year with their Kid’s New Year’s Eve party! Hope to see you in 2016!! Tagged Kid's New Year's Eve, Kindie Rock, Legoland, The Not-Its! 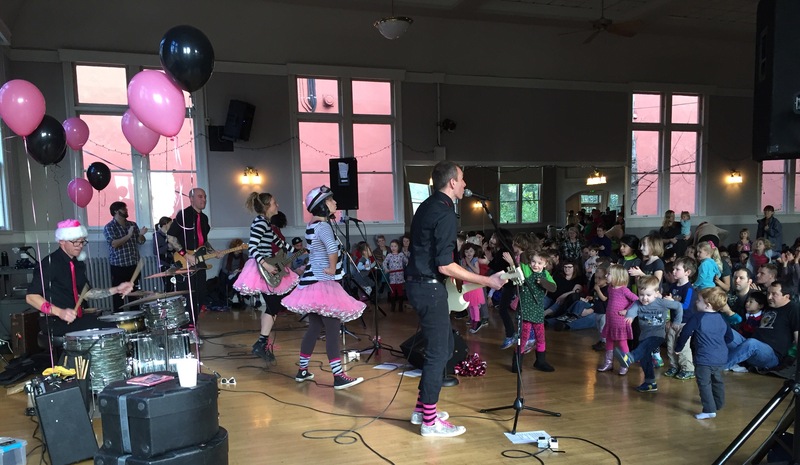 Today we kicked off the kindiependent Kids Rock Series at the Mount Baker Community Club. Come see a show and rock out to get your body moving! To purchase tickets go to http://www.BrownPaperTickets.com. Tagged Brian Vogan & His Good Buddies, Caspar Babypants, Harmonica Pocket, Johnny Bregar, Kids Rock Series, kindiependent, Mount Baker Community Club, recess monkey, The Not-Its! 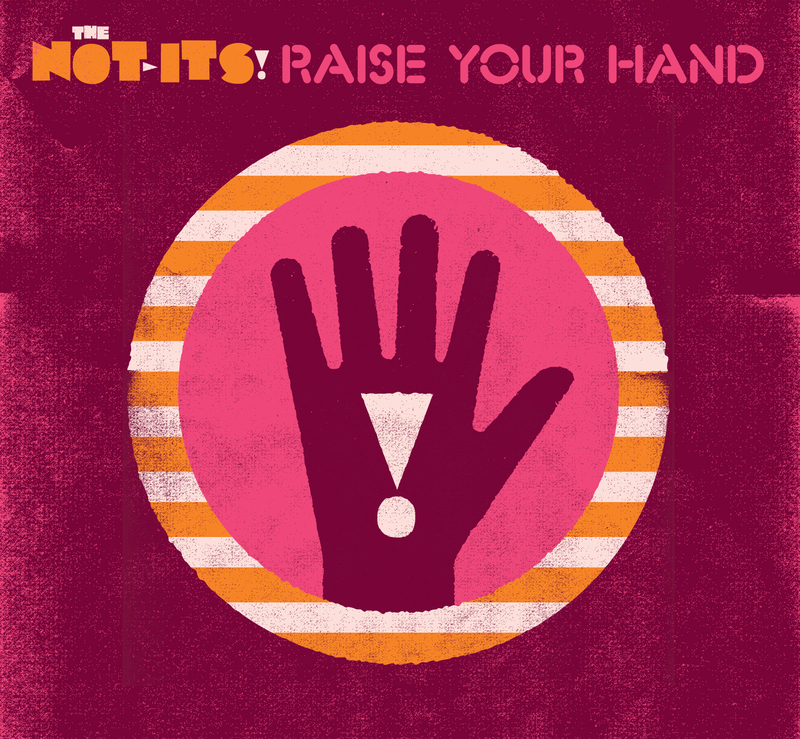 Keeping Up With The Not-Its! 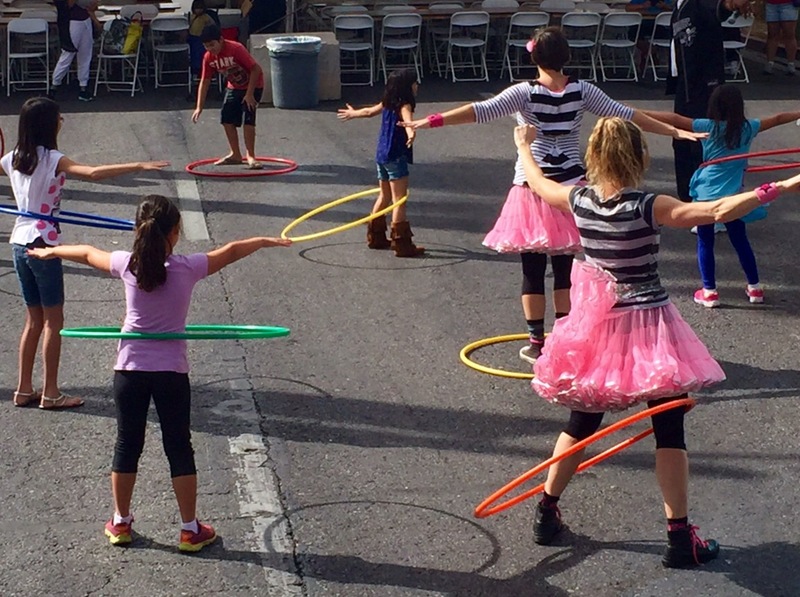 After our show in Vegas we went to San Francisco for their annual Tricycle Music Festival. Three of us took the easy route and flew down, but two of us were in charge of driving our equipment down. Trust us, this takes serious packing skills. Two days down and two days back, talk about a serious road trip! 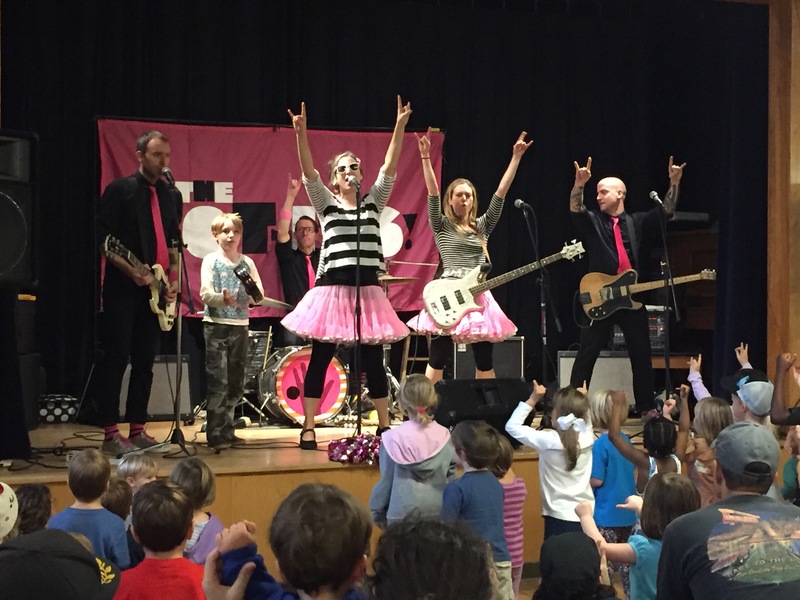 We had a great time playing this festival, for the second time, touring the libraries and rocking out with the folks in the Bay Area. 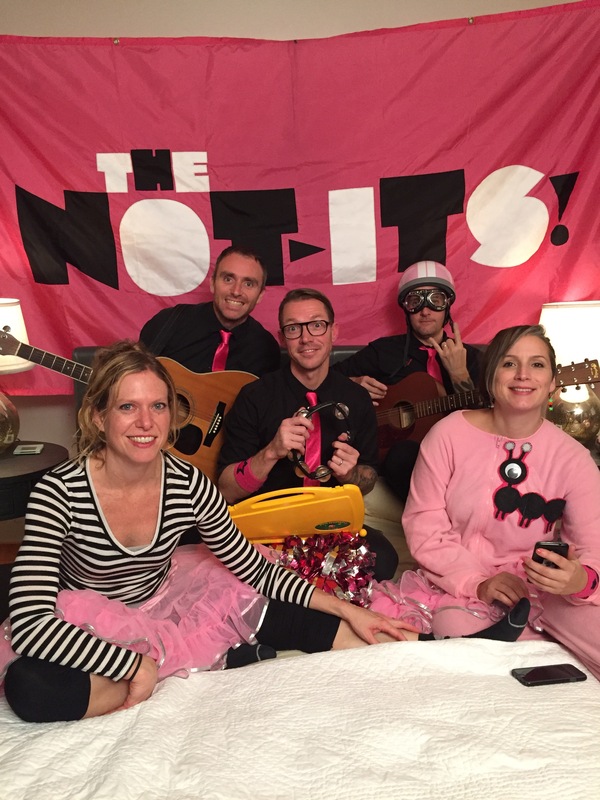 We also had the amazing opportunity to perform from bed (in flannel jammies even!) for #Bedstock to raise awareness for MyMusicRx whose in-hospital and online programs deliver the healing power of music to kids and teens facing cancer and other serious illnesses. Show your support too by sharing this video and donating whatever you can at http://www.mymusicrx.org. &nbsp; Shortly after we got back from SF, we played a show in our neighborhood for the Phinney Ridge Romp — it’s always fun to see familiar faces and hang with the folks from our hood. 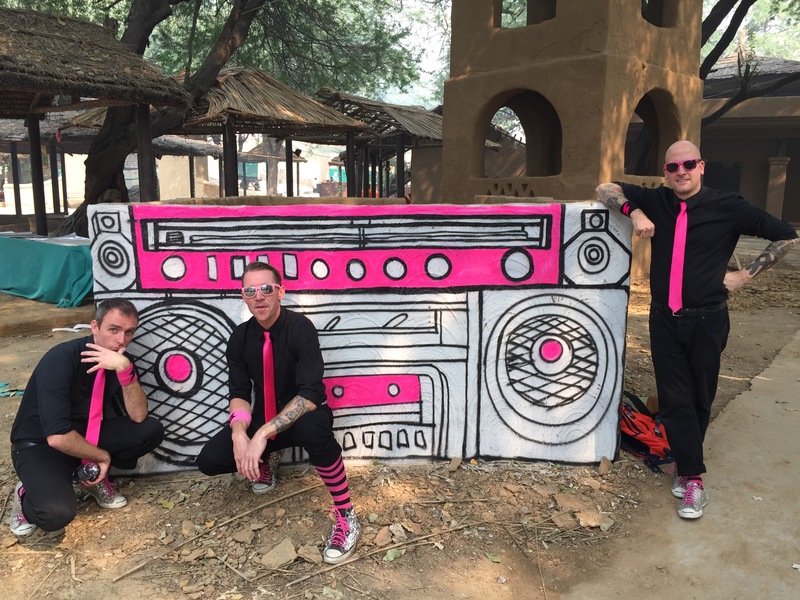 Then, it was onto the biggest travel experience of our lives… Our trip to India to play the Buddy Daddy Family Bash near Delhi. 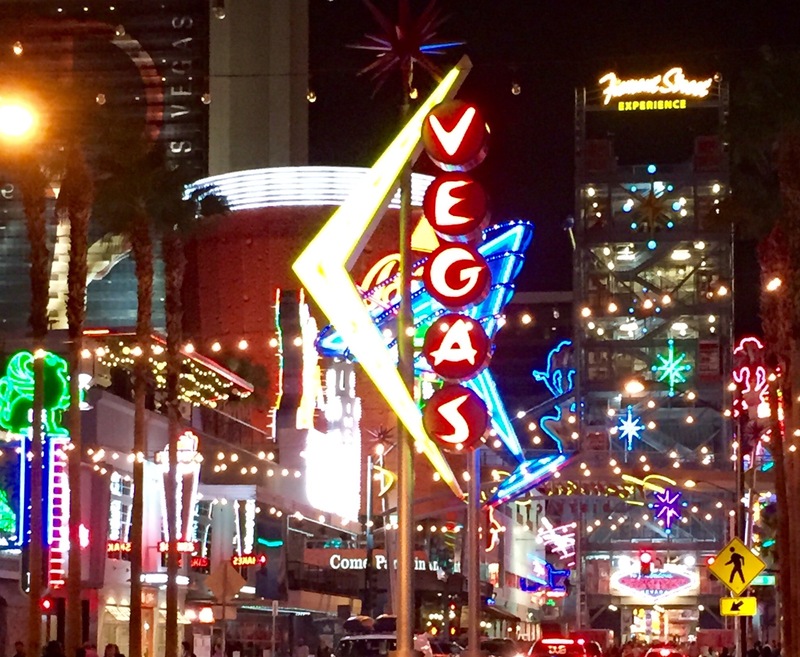 A couple of our friends shared the story of our trip on their blogs: The National At-Home Dad Network & City Dads Group — check them out! Today’s show was at the Seattle Aquarium. 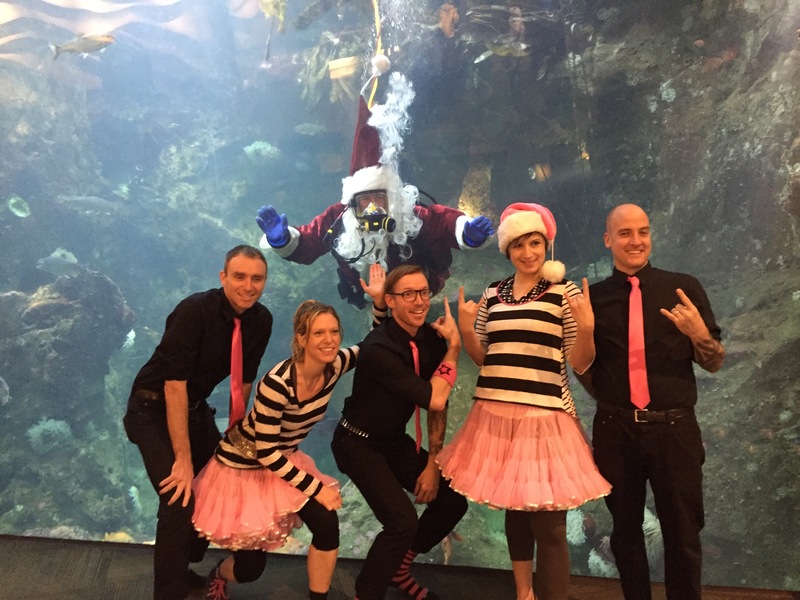 We performed alongside a Diving Santa! We started our day playing at Klahanie Park in Sammamish. This event had a great lineup of bands: our friends Recess Monkey played first, and a super fun oldies band called Wally and the Beavs played after us. The Getty’s Garden Concerts for Kids! We spent this weekend playing the Getty Center’s Garden Concerts for Kids. This was easily one of the most breathtakingly beautiful locations we have ever played. The weather was gorgeous and the crowd came ready to rock out with us! 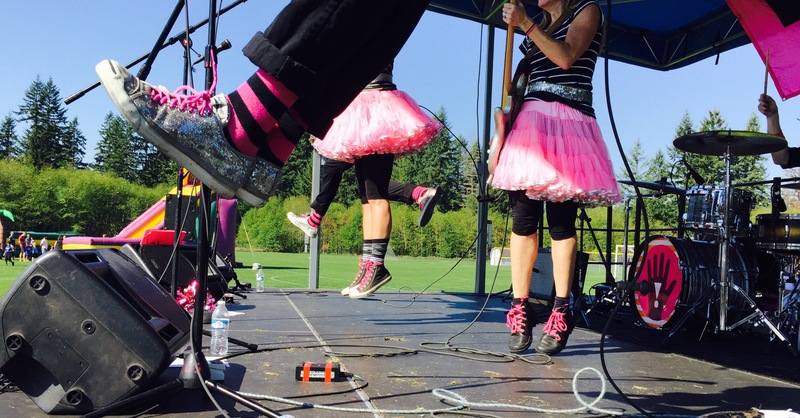 We even spied a few pink tutus in the audience!! This concert series and the extraordinary museum that hosts it is free to the public. 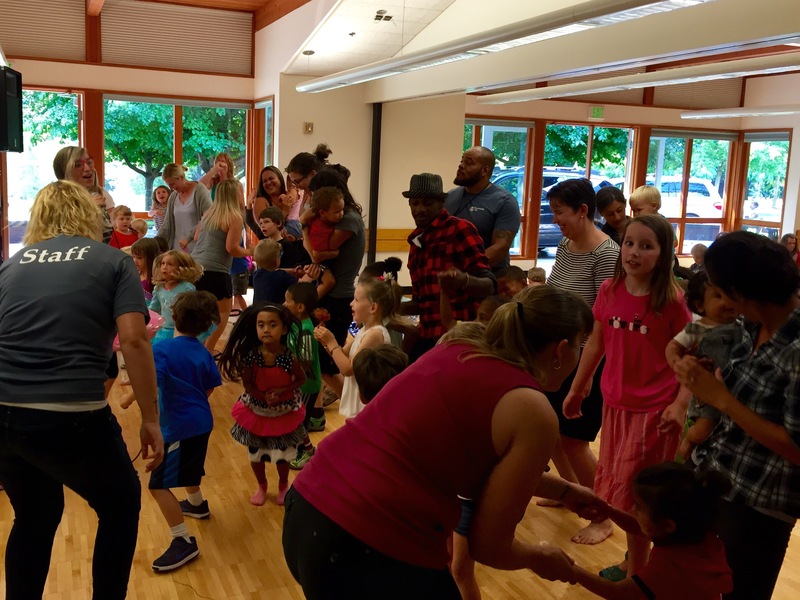 These concerts are brilliant because it gives families a reason to bring their little ones out for an afternoon of music and art. 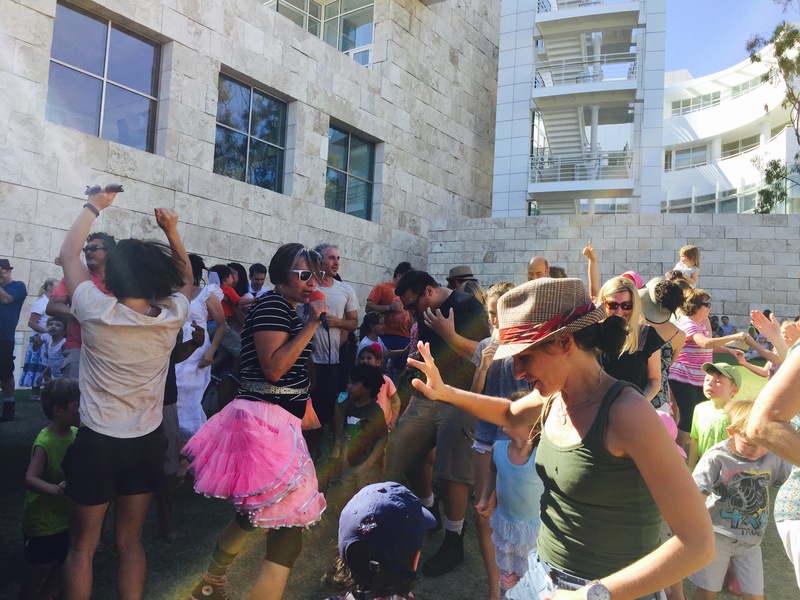 We love that the Getty has made it possible for everyone to enjoy what it has to offer! Tagged Garden Concert's for Kids, The Getty, The Not-Its! A little thunder/lightning/hail won’t stop us from rocking out with the good people of Tukwila. Luckily there was a space for all of us to move inside because… The show must go on! 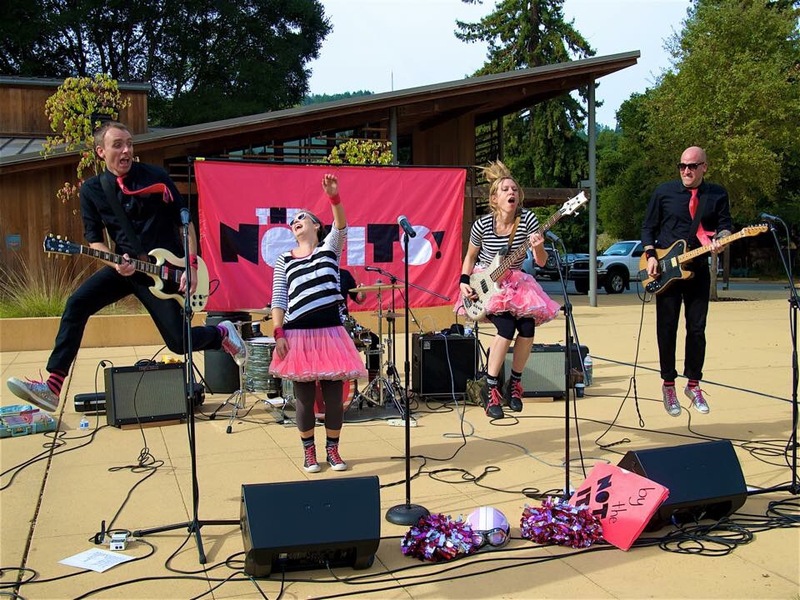 We’d like to thank the fantastic folks who put on the Tukwila Peanut Butter and Jam Concert Series for keeping us (and those who came out to rock out with us) safe from the weather and for helping bring awesome fun to the kids and families of Tukwila!